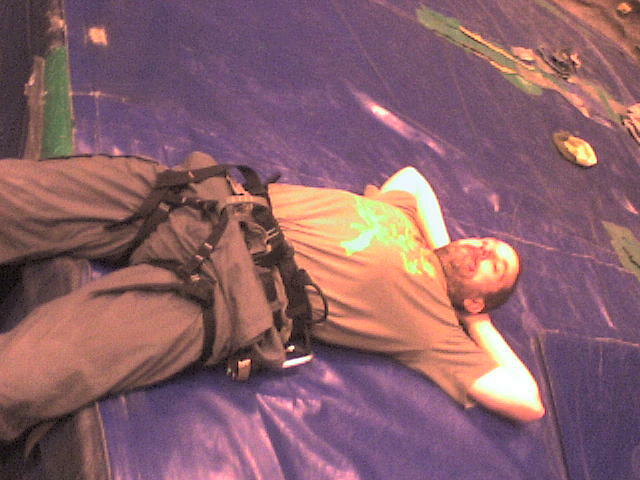 After much deliberation and a fair amount of dithering the decision was made by Stephen Diver-Driver to climb indoors at Huddersfield Sports Centre. Well, when I say the decision was made it was actually that Stephen was the only one who had a suggestion for the evening’s activity so – by default – it came to be. With Dr Ali suffering from mountain marathon lassitude (after gaining a very respectable result in the OMM 2009) and The Prof out of action – surprisingly not due to his sterling performance in the Worksop Half Marathon (1:29:23 – 102nd out of 1639) – but to unexpected visitors, this week’s climbing group consisted of a trio of thwarted adventurers: Mr Tuckle, Dr Crowe and Diver-Driver. 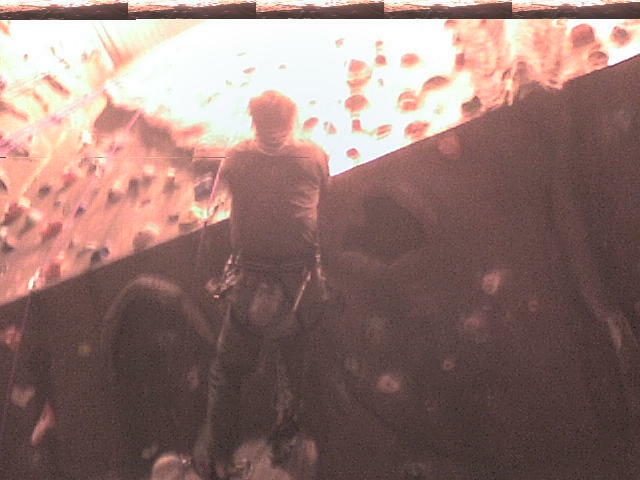 A quiet night for a Monday at Huddersfield climbing wall. I spent 10 minutes on the bouldering wall then 30 talking to Richard about his exploits the previous week where he acheived his Mountain Instructor Award (MIA) at Plas Y Brenin. It soon became apparent that Dr Crowe was in exceptional form on the overhangs which he then rightly insisted on climbing for the rest of the evening. Not known for his adoration of this particular geographic feature this enthusiasm proved both surprising and intriguing. The mystery was quickly solved with the good Dr’s admission to the consumption of 4 weatabix that very morning. A feat even Ian (Beefy) Botham only ever dared to dream about. Feeling the effects of my lack of participation over the last couple of months, apart from completing the delicate 6a+ on my favourite slab I stuck to the 5s whilst Stephen Diver-Driver stuck to the bouldering mat.